Virtual Vision launched a click to website ad campaign for Dombeck Custom Cabinets. 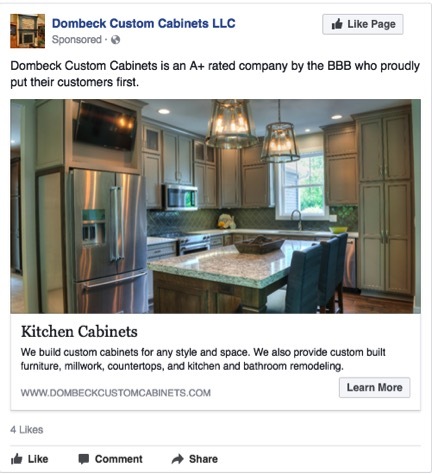 Virtual Vision launched a click to website ad campaign on Facebook and Instagram for Dombeck Custom Cabinets. Dombeck builds high quality, custom cabinets, built-ins, fireplace mantels and furniture.